Google is one company which can truly be associated with constant innovation. The internet giant has quadrupled its business expanse in past few years and definitely will continue to do so. It is absolutely evident from their activities that Google is all about making things easier bit by bit. 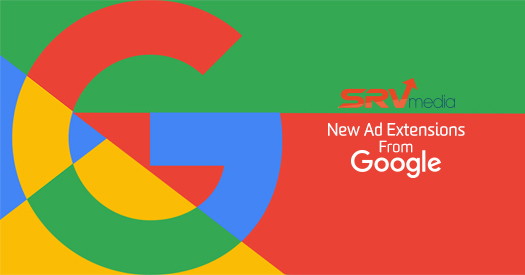 Google just recently released some new ad extensions which are about to make advertisements more visible with great reach. Lets take a look at some of the extensions launched by Google and what they bring to the plate! Who doesn’t like a good advice? Especially, if it is coming to them without taking any efforts. This new extension of Google allows advertisers to influence their target audience with daily clever tips. It wont boost your Click-through Rate (CTR) as such, but it can definitely nudge the ad viewers in the right direction. Everyone knows the importance of #s and what they can do for branding and traffic purposes. The more relevant #s you use in your ads, better the chances are for the conversion rate to get a boost. Through Google’s new Hashtag extension, ads can be better garnished with tags that link to several social media sites. Up to 50 hashtags can be used in one ad, although only up to 30 can be displayed at a time to keep things clutter-free. Yes, that is the actual name of one of the newest extensions! Extensions are so important that Google launched an extension named ‘Extension’. The purpose of this extension is to make the ad bigger which extends the ad’s dimensions and increases the font size. The augmentation in size can definitely improve your ad’s visibility by making it stand out. Rumors are by Christmas, we might get to see the Extended Extension Extension. We wonder if that would cover-up half or the entire page in SERPs! Remember the time when Bing introduced its image extension back in 2015? Google’s GIF extension is basically a bigger, better and bit advanced counter to Bing’s image extension. The GIF extension enables advertisers to add a GIF below their ads and well, who doesn’t like GIFs. These new extensions by Google will certainly offer good benefits to marketers and advertisers. However, the thing about new stuff is that in technology domain, it becomes old very soon! Although, considering Google’s traditional stance on innovation, we think that Google is alreadyin the process of developing new extensions. Who knows? Maybe a Unicorn will soon start flying over the internet by the next summer in 2018. Stay tuned for more information!